In order to close your swimming pool properly, you want to be able to have protection for every part of the swimming pool. This includes the skimmer basket. Most often swimming pool owners don’t want to go out and spend the extra money on a key part of closing the pool, the Gizzmo. These products are very affordable and would add great protection to the pool in the cold winter months. The job of the Gizzmo is to protect the skimmer basket from cracking from ice that may form over the winter. This product was designed to take in the expansion and the contraction that happens in the cold weather. 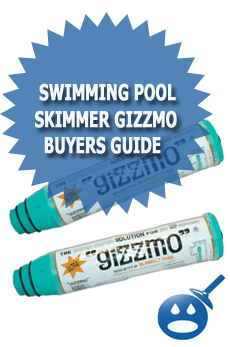 Gizzmos are very affordable and can be found in any local swimming pool supply store. But like any product there are Gizzmos that are better made than others. How can you know which ones those are? We have complied a list of 4 different Gizzmos that would be an asset to the protection of the swimming pool. We will take a look at the Original Pool Skimmer Gizzmo, the Swimming Pool Skimmer Guard, Gizzmo Super II Pool Skimmer Gizzmo and the Gizzmo Aboveground 9. The Original Pool Skimmer Gizzmo is just the start of some great products on the market. With the Original Gizzmo you will get skimmer protection at its best. This item is called the Super 1-1/2″. This product comes with a grip that makes installation a breeze. You simply twist in the gizmo with the threaded side down and secure. If you wish, wrap some Teflon tape around the threaded area to add extra security and peace of mind. 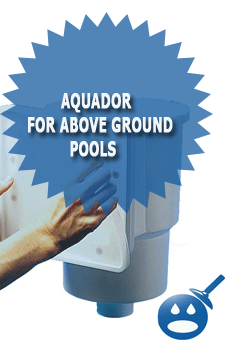 This product is great for in-ground swimming pool and above ground swimming pools. This gizmo is essential to closing your pool and preventing from your swimmer from cracking. This product was designed to accommodate any swimming pool skimmer. There are some swimming pool owners who actually use plastic soda bottles rather than go out and buy the Gizzmo. This works as a temporary fit but nothing will protect your swimming pool skimmer basket better than the intended Gizzmo. By using the proper gizmo you won’t have to lower the levels in the pool and there will be fewer chemicals that you will have to add over the winter. The Gizzmo will not just protect your swimming pool but they can save you money on not having to replace the skimmer basket. The original Gizzmo is very affordable in price at $ 4.50 and it also comes in a 2″ thread, which costs about $11.64. You can find these products in your local swimming pool supply store. Another great way to protect the swimming pool from ice damage and freezing over the winter is the Swimming Pool Skimmer Guard. This product works best on either the above ground swimming pool or the in-ground swimming pool. The Swimming Pool Skimmer Guard comes in two different sizes the 1-1/2 thread and the 2-inch thread. This skimmer guard like the Gizzmo is designed to soak up any expansion that may be caused by freezing water. The Skimmer Guard will compress rather than expand. This will help eliminate the risk of cracking the skimmer basket. Picture the Skimmer Guard as a whole when you install it. Now as the cold water expands the Skimmer Guard takes in the pressure caused by the cold water and the Skimmer Guard compresses. The Skimmer Guard is easy to install, simply twist in the guard securely and add any Teflon tape that is necessary to ensure a secure fit. Then go about closing the rest of the swimming pool. For the entire winter you won’t have to worry about the skimmer baskets cracking. If you are going to close your swimming pool, you want to make sure that it is done correctly. The Swimming Pool Skimmer Guard is very affordable and is priced at $16.99. You may be able to find it at your local swimming pool supply store, local home improvement stores or there are plenty of online store where you can find it. The Super Gizzmo is available in 2 different sizes the 1-1/2″ thread and the 2″ thread. This product measures in at 18″ in length and works great in any in-ground swimming pools and above ground swimming pools. This Gizzmo are used as a plug to the skimmer. It works in combination as a plug and skimmer bottle. The concept was created to stop any damages that often happen in the cold winter months especially if you live in locations where the winter months are colder than other places. The protect is not limited to cold weather, it also protects the skimmer basket from rain, freezing rain and even from the cold water of the swimming pool. This Gizzmo will act as an expansion plug of sorts and can save you money and time in the spring when you open up the swimming pool. It is also important to purchase the proper skimmer plate and other winterizing products. You probably have spent a lot of money on your swimming pool, they are a true investment so why not protect the investment and protect the swimming pool properly. The Super II New 1-1/2’ and 2″ Gizzmos are priced very affordably. The cost is $12.46, if you shop around you may be able to get a better price. You can find these Gizzmos in any local swimming pool supply store or local home improvement store. The Gizzmo Aboveground 9 comes in two different designs and sizes the 1-1/2 inch and the 2-inch. These Gizzmos were created with the original design in mind. Once the industry was introduced to the greatest protection known to the skimmer, other companies followed suit. This Gizzmo works like the others, you simply twist in the Gizzmo into the skimmer basket and make sure that the connection is secure. It is best installed after you fill the lines with anti freeze. If you need to use Teflon tape to ensure a better connection then do so. As the winter progresses the water will become colder and colder and this may cause the skimmer basket to crack under the pressure of the cold. When you use the Gizzmo Aboveground 9 you are all but eliminating this from happening. 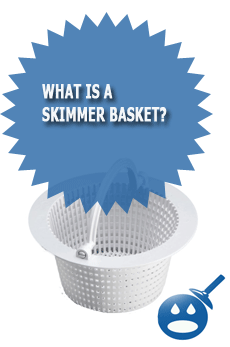 Wouldn’t it be nice to go through the winter without having to worry about your skimmer basket from cracking? The Gizzmo Aboveground 9 is very affordable; it is priced at $5.84. If you shop around you will be able to find a better price. 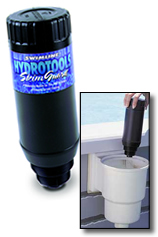 You can find these products in your local swimming pool supply store or many online stores. The best way to protect your investment is to make sure that you have the proper tools to close it. You wouldn’t buy sub standard parts for your car would you? Then why would you for your swimming pool? These products are not hard to find, you can visit any swimming pool supply store and find these products. You may also be able to find them in your local Home Depot or Lowe’s. Don’t forget to check the Wal-Mart they have a great seasonal section. Swimming pool owners often dread closing the swimming pool and that may be because they don’t have the right parts. To avoid spending any additional money in the spring when you open the swimming pool, close the pool properly with the right equipment. A great place to start is the Swimming Pool Gizzmos. They are affordable and easy to install. You can’t go wrong with any of the 4 products we profiled here. 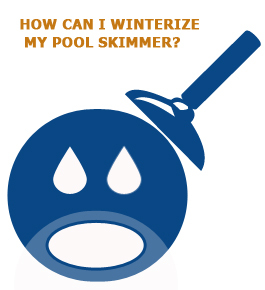 How Can I Winterize My Pool Skimmer?